The Southeast Community HealthChoices Check-In has reached capacity. To be placed on the waiting list, please call PHA Program Coordinator Christine Wiercinski at 1-800-382-1211 x21 or email at c[email protected]. This is a free event for PHA members only. Community HealthChoices has officially kicked off in Southeast Pennsylvania…how’s it going? 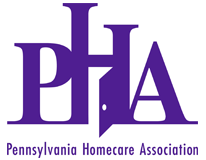 PHA invites members to an exclusive “CHC Southeast Check-In,” bringing together homecare providers, the Office of Long-Term Living, HHAeXchange, and the three CHC-MCOs: Keystone First CHC, UPMC CHC, and PA Health and Wellness. This is a unique opportunity to ask specific questions about authorizations, billing, services, etc. directly to those leading the charge. Don’t miss this opportunity to troubleshoot any issues you may be having! This is a free event for PHA members only. Space is limited, so registration is limited to two people per agency. If you would like to bring additional staff members, please email [email protected] to be put on a waiting list.